Local Fans make their own Dairycon Universe! I'm always amazed at the local talent. They take 'Exclusives' one step further. Here are a couple of the higher end pieces I have been lucky enough to acquire. 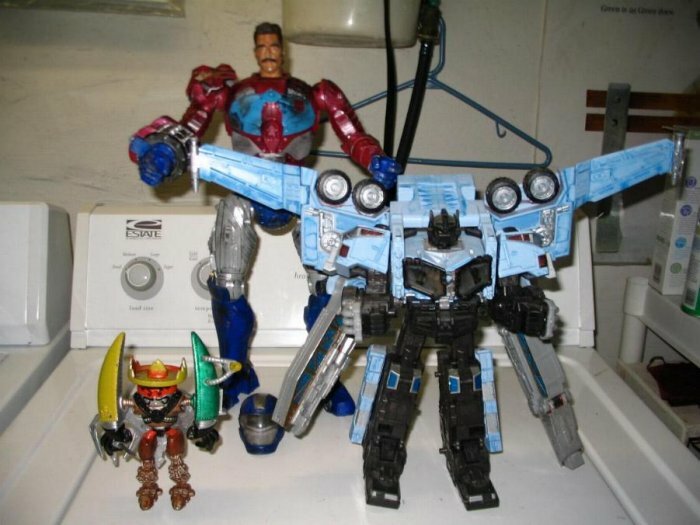 Pictured are an Ultimate Pretender Convoy, a Cybertron (Hot)Spot, and a NachOmega Supreme (items from Joe, Matt, and Matt, respectively).